My mother is a sewer and she passed on her hobby to me. 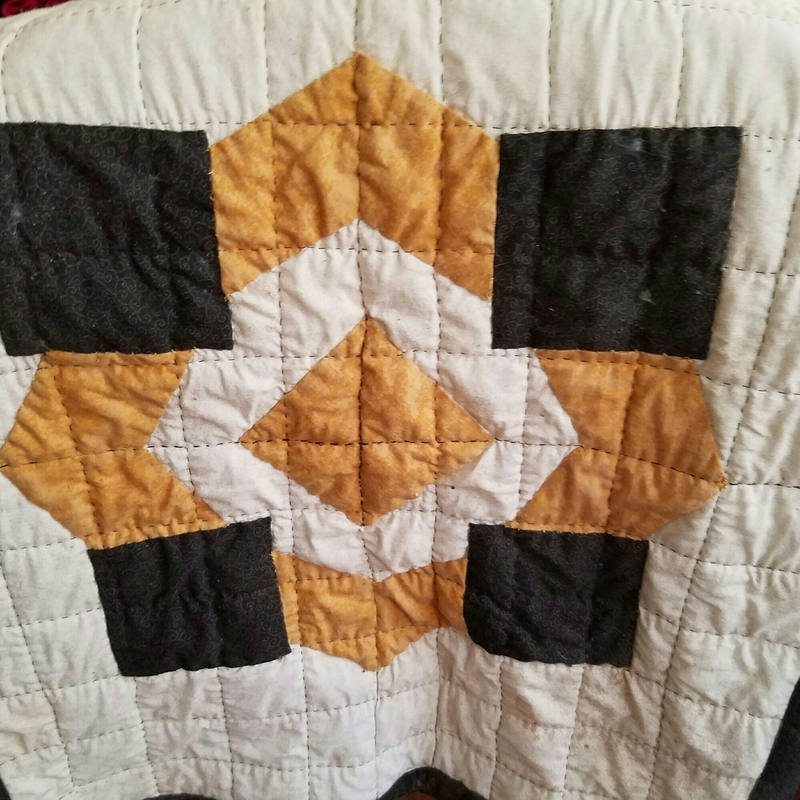 I made this quilted wall hanging for my hubby’s office. Reconize the pattern – it’s from a target used in shooting practice. Anything can be made into a quilt pattern.